A metal roof is an excellent choice for residential homes as well as commercial applications. A metal roof is very durable and will protect your home or business even in the harshest weather. Metal roofs are hail resistant, our panels carry a 40 year manufactures warranty for peace of mind and when installed properly are virtually maintenance free. 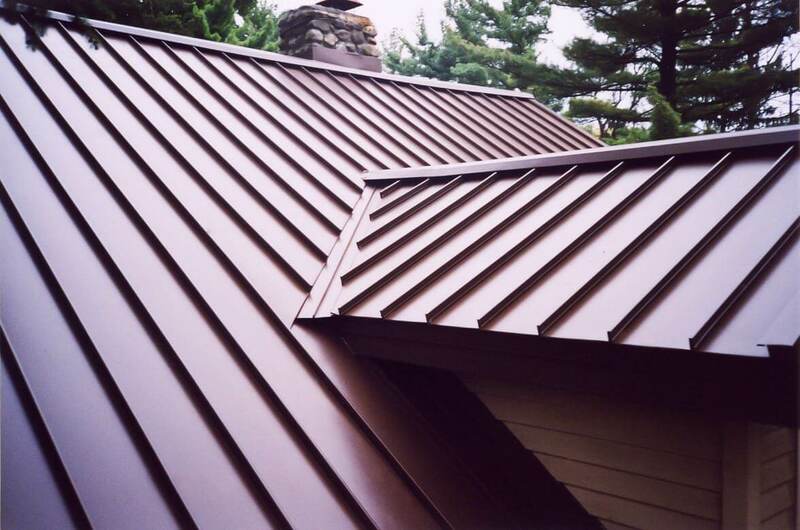 Metal roofing offers a durable and affordable option for your home or business. Our 29 gauge residential metal panel is our most popular metal panel due it being, cost effective, durable, and easy to install. Our residential panels carry a 40 year manufacturers warranty on the paint and we stock more than 20 colors. This panels are ideal for residential roofing and siding on almost any structure including hay barns, garages, and even homes. PBR panels are 26 gauge and are usually used on commercial or industrial applications. 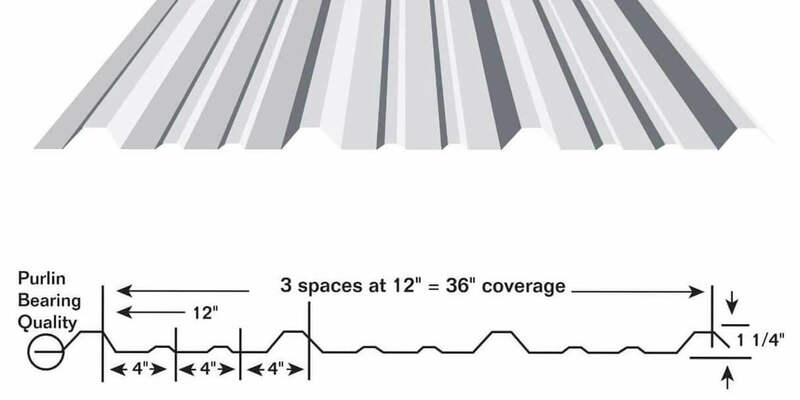 Because of the larger ribs and thicker metal PBR panels can span a larger distance than a residential panel reducing the amount of purlins and girts needed for sheathing support. Standing seam is often used on commercial and industrial applications but can also be used on residential projects. Standing seam roofs, while more expensive than other types of metal roofs, are extremely durable and will last for decades. 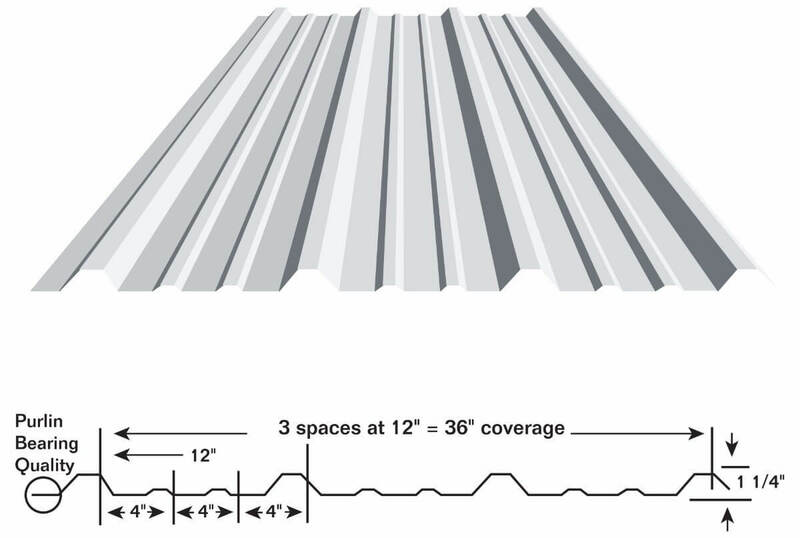 This durability derives from the fact that standing seam roofs do not have any exposed fasteners and the metal is usually thicker than that of the residential and PBR panels with 24 and 26 gauge being the standard gauges. They also have a different look to them which may be a factor for some in deciding whether to choose standing seam roofing.